© Wong Maye-E/Associated Press China says Meng Hongwei, Interpol’s president, is under investigation on suspicion of unspecified legal violations. 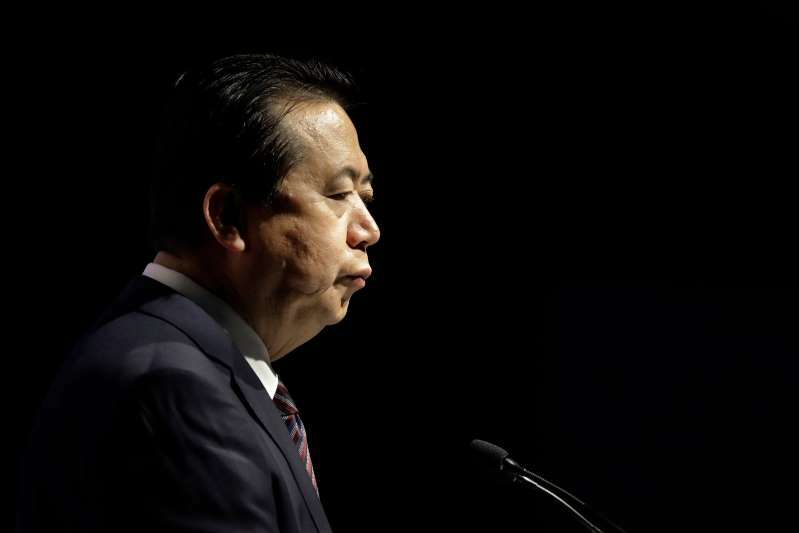 In a stunning move that could set back the country’s efforts to expand its global presence, the Chinese Communist Party announced late Sunday that the missing president of Interpol, Meng Hongwei, was under investigation on “suspicion of violating the law” and was “under the supervision” of an anticorruption watchdog tied to the party. The announcement that Mr. Meng, a Chinese national, was being detained was posted online by the Central Commission for Discipline Inspection, the party’s watchdog against graft and political disloyalty, on Sunday night. The statement of his detention and his subsequent stepping down came a day after Interpol demanded answers from the Chinese government on the whereabouts of Mr. Meng, who was reported missing on Thursday. The detention of Mr. Meng, 64, is an audacious step by the party, even by the standards of the increasingly authoritarian system under the leadership of President Xi Jinping. China has sought legitimacy and a leadership role in international organizations, and Mr. Meng’s appointment in November 2016 as the president of Interpol, the first Chinese head of the global policing agency, was seen by many as a significant step in that direction. His detention undermines that campaign. Mr. Meng’s appointment “was considered quite an achievement for China and a sign of its international presence and growing influence,” said Julian Ku, a professor at Hofstra University’s Maurice A. Deane School of Law, who has studied China’s relationship with international law. The announcement of Mr. Meng’s detention came hours after his wife, Grace, told reporters in Lyon, France, that before her husband had vanished on a trip to China, he had sent her a phone message with an emoji of a knife. She interpreted the knife image to mean “he is in danger,” she said in a brief statement to reporters on Sunday in Lyon, where the two were living and where Interpol is headquartered. Ms. Meng gave her statement at a hotel, keeping her back to reporters so that her face would not be captured on camera, a precaution that she said was for security reasons for herself and her children. She said she had received the message with the knife image shortly after Mr. Meng arrived in China. It came just four minutes after she received a message from him saying, “Wait for my call,” she said. She has not heard from him since. She reported his disappearance to the French police on Oct. 4. A French police investigation is now underway, with the authorities saying that he had boarded a plane and arrived in China, but that his subsequent whereabouts was unknown. In addition to serving as president of the international crime fighting body, Mr. Meng is also a vice minister in the Chinese Ministry of Public Security. The central commission can detain party officials for months or years while carrying out an investigation. The commission often concludes an investigation by stripping an official of party membership, stating the official’s violations of party regulations and referring the official to the justice system for criminal prosecution. Since Mr. Xi took power as president of China, the commission has gone on a wide-ranging anticorruption campaign that has touched every level of the party. His detention means that internal party dynamics supersede any concern from the party about international legitimacy or transparency. It is unclear what led to Mr. Meng’s apparent downfall — a power struggle within the party or an actual case of corruption officials deemed to be beyond the pale. There have been investigations of prominent figures in the anticorruption campaign. The most notable has been that of Zhou Yongkang, a former member of the elite Politburo Standing Committee and top security official. Many analysts of Chinese politics say Mr. Xi viewed Mr. Zhou as a rival and used the anticorruption campaign to imprison him. Mr. Meng was last seen leaving Interpol headquarters in Lyon on Sept. 29 for his trip to China. His wife and children had moved with him to Lyon after his appointment. Under the terms of Interpol’s Constitution, the acting senior vice president, Kim Jong-yang of South Korea, becomes acting president. At her news conference on Sunday, Ms. Meng said she had decided to speak publicly because she felt it was her responsibility to do so. Her step was extraordinary: Family members of Chinese officials in trouble with the party or government usually do not make a plea for international help.